Back in 2014 I began a project to build myself a 486 PC. It proved to be slow going, not just to get the right components, but also spending time troubleshooting. Two years later I finally had it all functioning. Initially the aim was just to have a usable 486 without getting too fussy over the hardware. Maybe with a DX/2 66 processor, 8 MB of RAM, an entry-level ESS sound card, and so forth. However, as things accumulated over time it proved to be better than I had imagined. 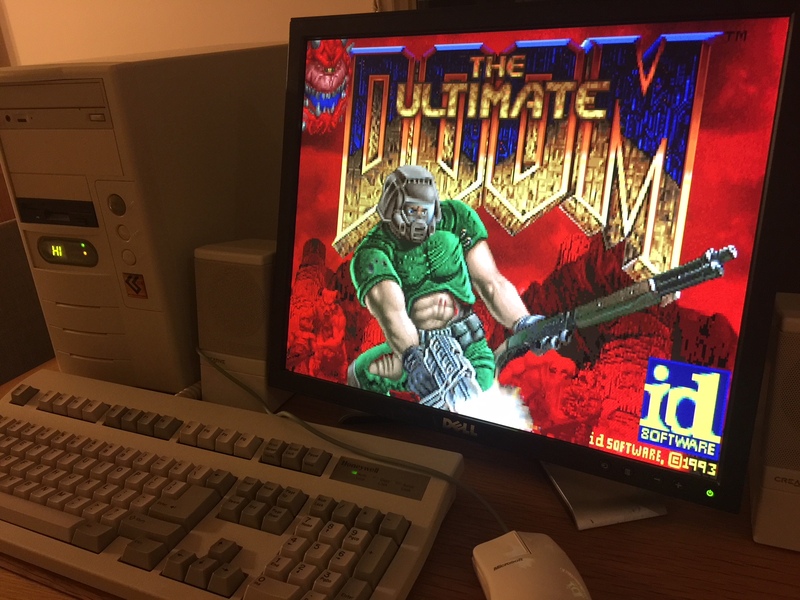 ‘Ultimate’ can be subjective – no doubt some other enthusiast has one with more RAM and thrown in a TNT 3D video card, but my aim was to keep it fairly period correct.